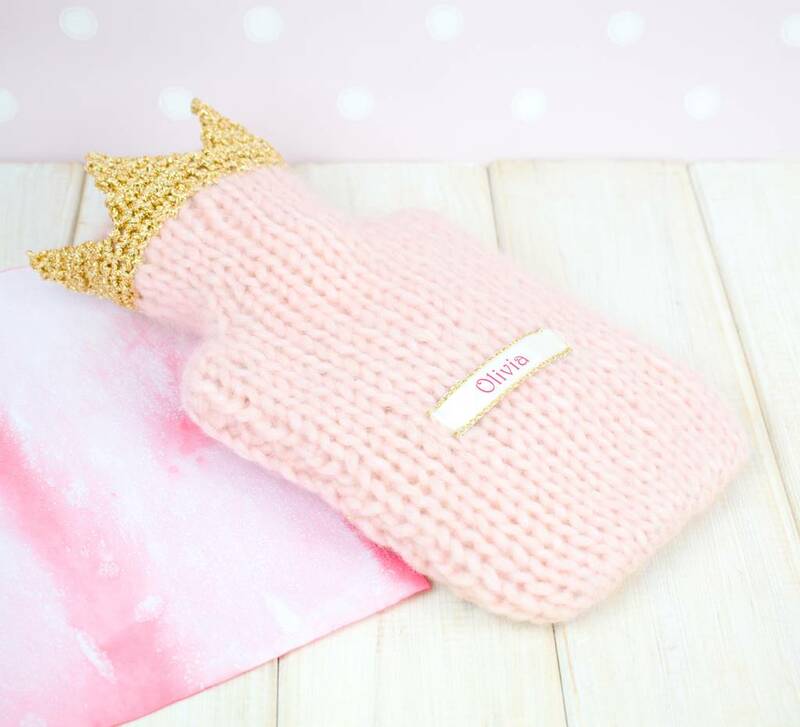 A hand knitted children's personalised crown mini hot water bottle cover complete with British Standard hot water bottle. 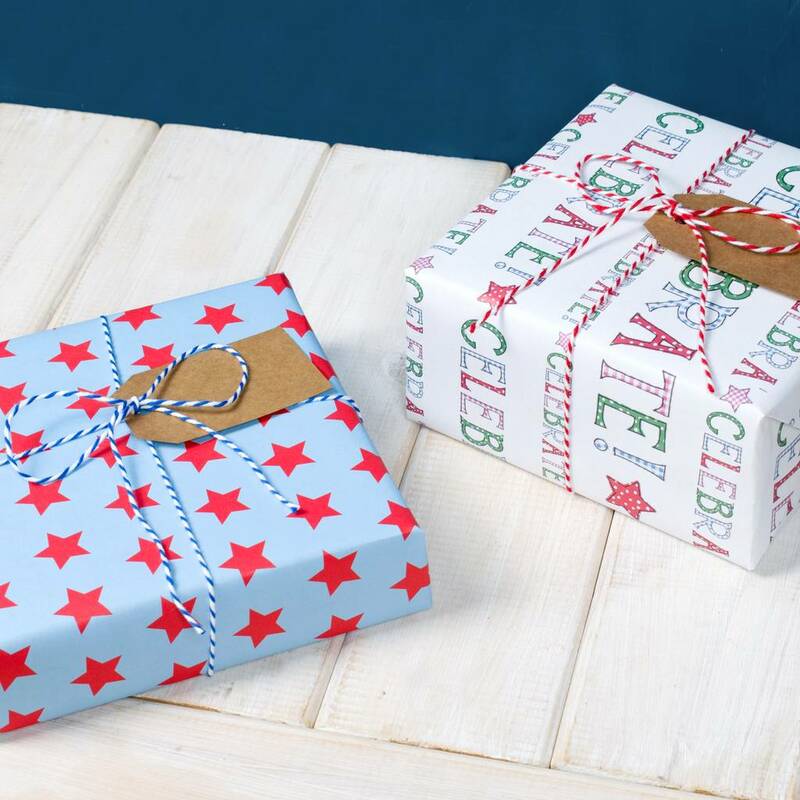 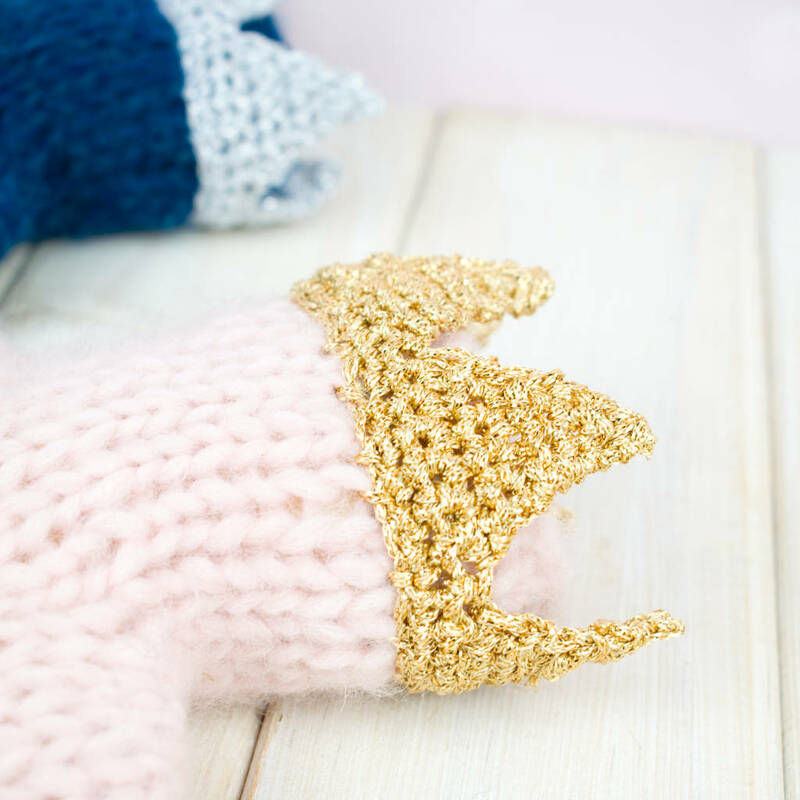 Perfect for little Kings and Queens. 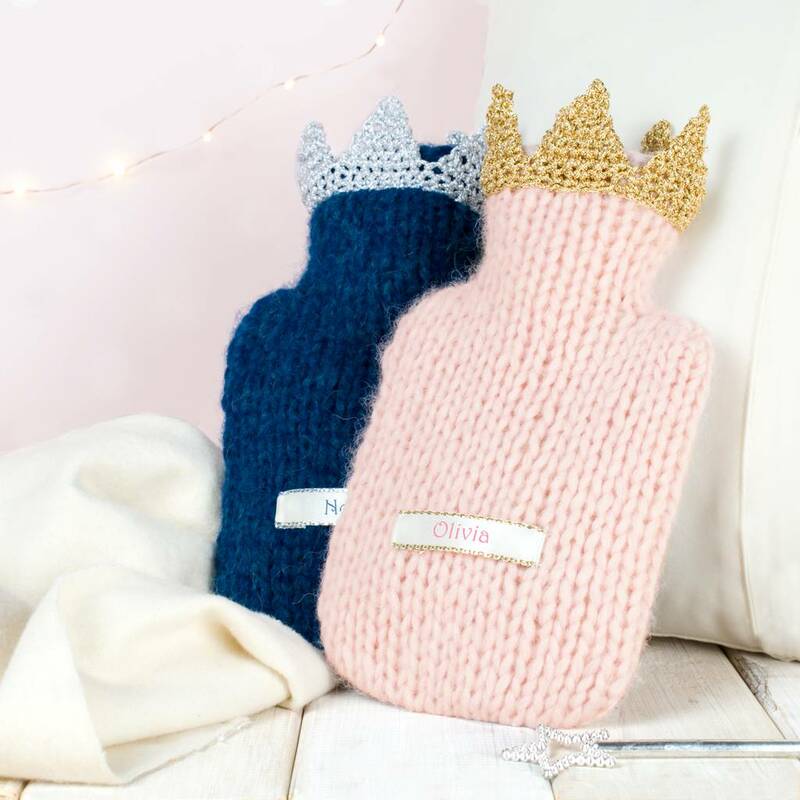 Our 'Royal' hot water bottle range is made from our softest yarn yet. 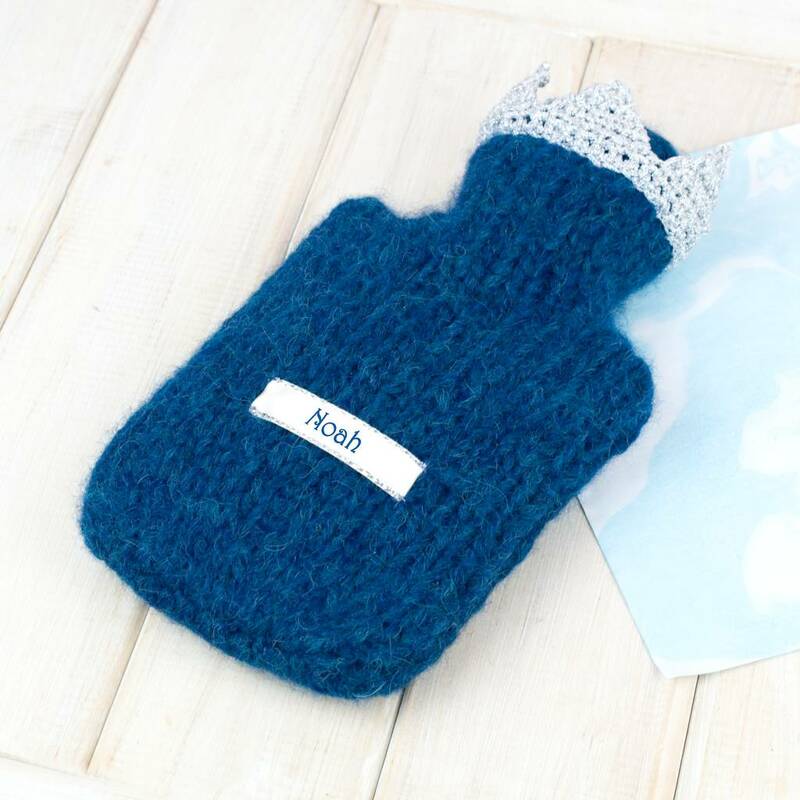 Blended with a generous mix of Alpaca (70%) and Merino (7%) wool this fantastic blend makes for a super snuggly, cuddle-worthy hot water bottle which is soft on children's skin. 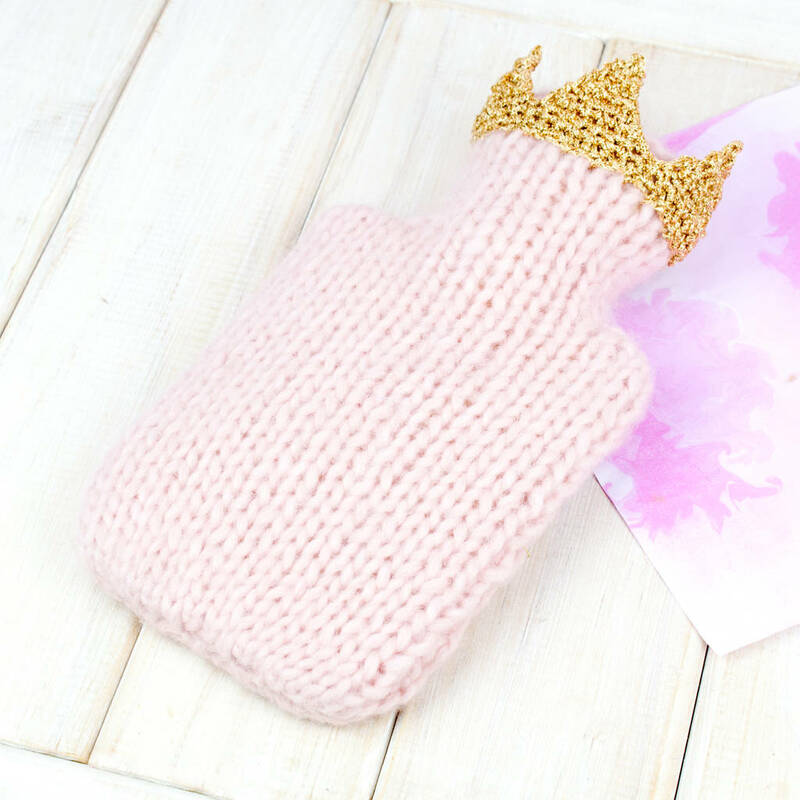 Each hot water bottle is topped with a hand crocheted, sparkling crown in either Gold or Silver and comes complete with a British Standard approved 0.5l mini hot water bottle. 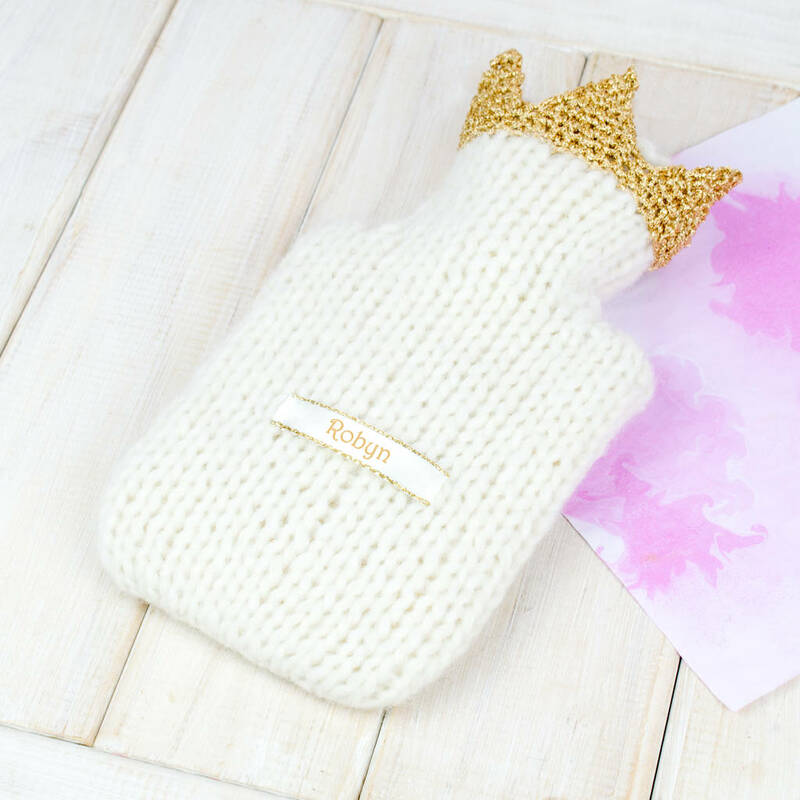 Choose to personalise your hot water bottle with your little Prince or Princess's name for an extra thoughtful touch.